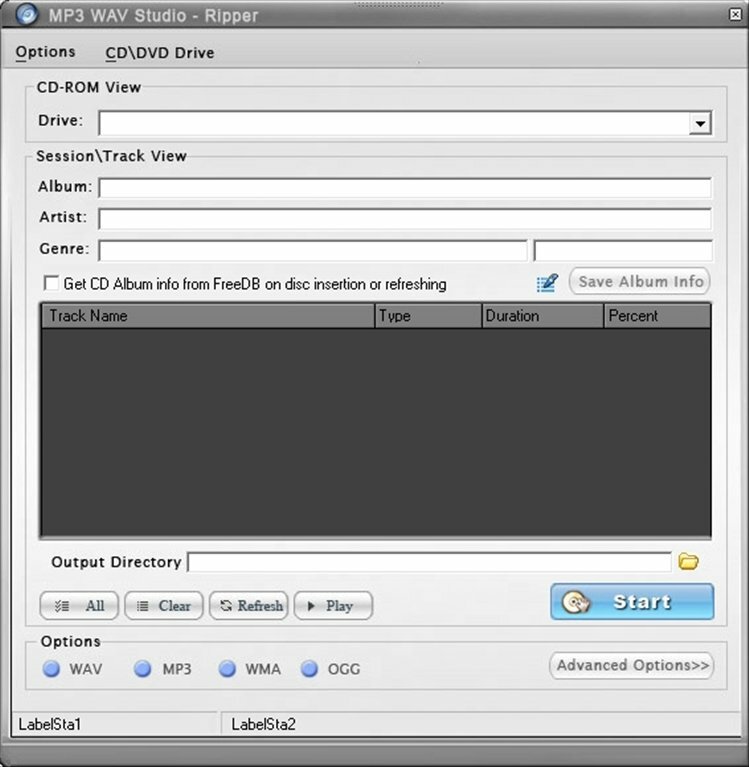 If you're a music lover and you really like to keep your music collection in order, take it with you on your mobile or iPod/iPhone or burn it on CDs, then you need a solution by means of which you can convert to different formats, edit files and burn/rip CDs. 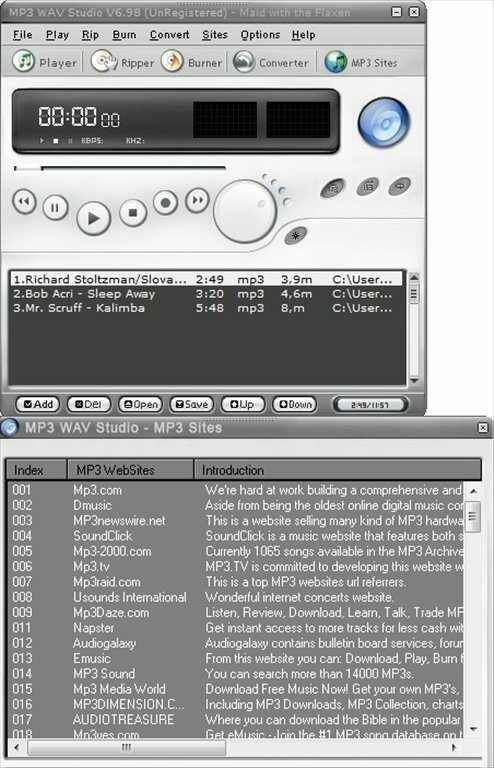 MP3 WAV Studio is a complete solution to convert and play audio, and offers various really interesting options. 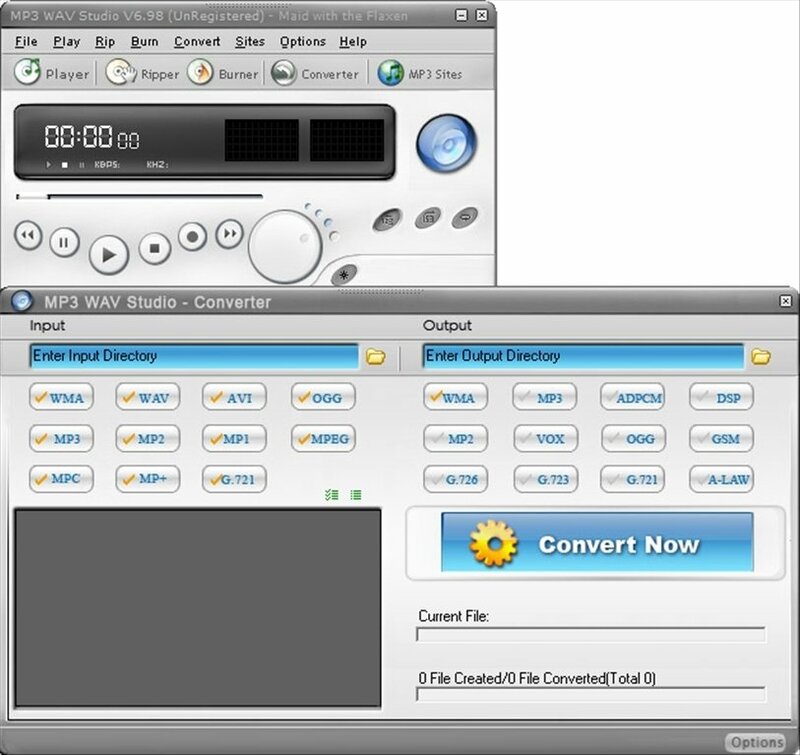 The application is capable of importing and exporting in MP3, WMA, WAV, AVI, OGG, MP2, MPEG, MPC, MP+, VOX, GSM and A-LAW, as well as reading audio in CDA format. 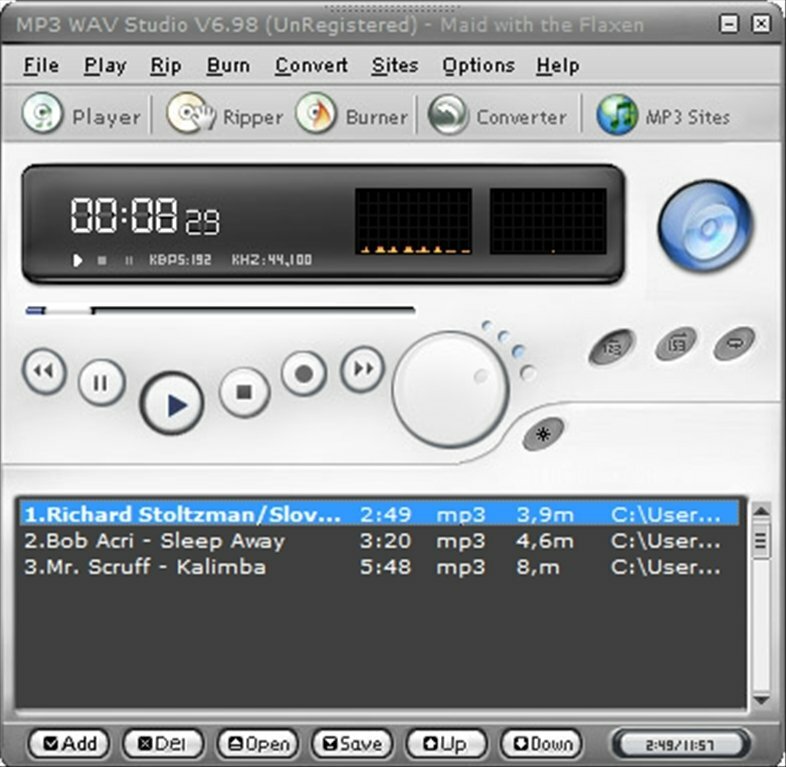 This tool integrates a complete player with all kinds of customization options (waveform viewer, equalizer, playlists,... ), a converter (with all kinds of editable parameters depending on the audio format with which we are working), a CD ripper (with access to CDDB, with multi-ripping and jitter correction, among other functions) and a CD burner with support for all kinds of optical disc burners. We will also be able to access the best webs to download MP3, from a list with the best 100 sites from all over the Internet. Don't let any audio file resist you with MP3 WAV Studio.